It’s been a difficult growing season in South Australia. Fruit was hit with hail and heat; including a record 46.2oc. Despite the weather, after Shiraz harvesting was done this week the Madgett’s ended up with increased tonnage and an A on their grapes. And it’s thanks to Platfarm. When the Madgett’s bought their property 4 seasons ago the vineyard was typically achieving B grade, and now for the second year in a row 2019 the grapes have received an A. The total tonnage from the 4Ha of Shiraz was up from last year, from 22 tonnes to 23 tonnes. 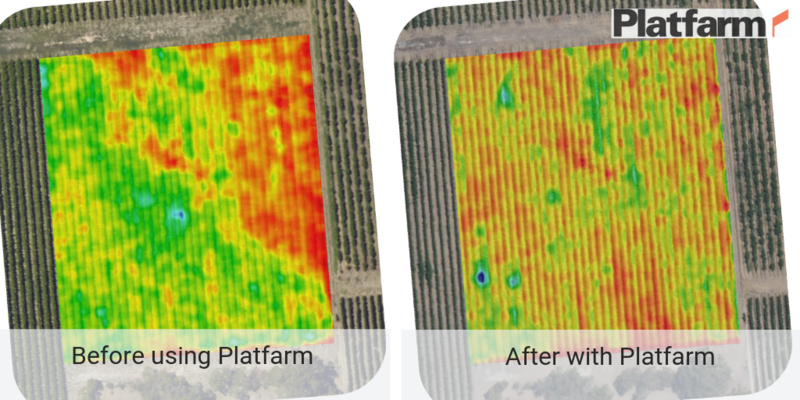 Whilst yield is significantly down in the McLaren Vale region, Platfarm has worked to turn data and spatial insights into practical action; the investment has saved time, optimised input costs, helped maintain yields, and made money. The Madgett’s used Platfarm to direct work that evened up this block, and through the app they knew the areas that they needed to focus on, and importantly so did their contractors. They mulched the lower vigour area and applied compost at variable rates. 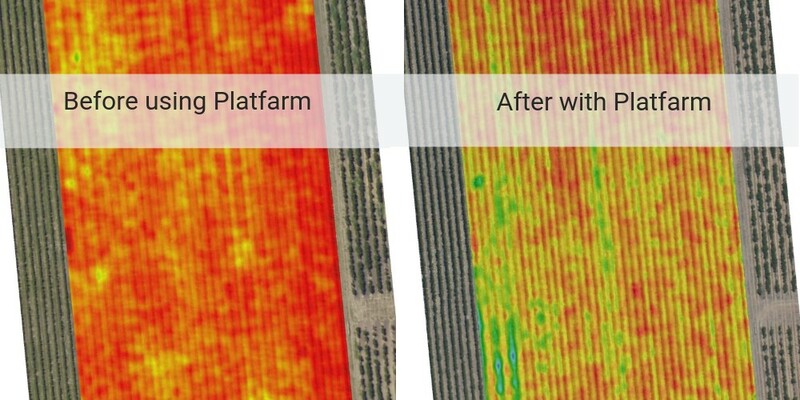 They ripped specific rows, planted a mid row crops to fix nitrogen in the zones that needed it most, and shoot thinned the higher vigour areas, tracking progress in Platfarm as they went. Platfarm helps take the guesswork out where work needs to be done. As they drive up the rows, the app tells the tractor operator when to start and stop work, or change rate. This optimises input costs because work only gets done on the area that needs it, and at the rates required. And Platfarm helps growers to maximise the value of their fruit by evening up the quality of their grapes. 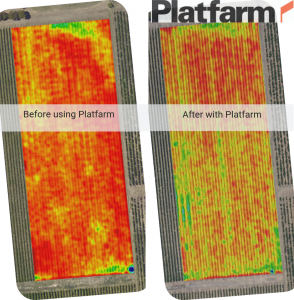 Platfarm is affordable, easy to use and runs on tablets and smart devices. We are getting ready for our next intake of customers, if you’re interested getting more out of your vines contact us for a chat or demonstration. In the block above: the Madgett’s increased the vigour and evened out the vines (this block in particular would really struggle canopy wise). The block is getting an A rating and cropping back at 2.5T/acre (up from 1.5 – 2).